Venture capitalists will certainly remember the year 2015 as the “year of drone startups,” but the revolution in the ecosystem still has not reached its peak. As reported by WSJ, venture capitalists will continue to invest in drone-related pitches, especially after the last year’s introduction of federal rules governing the commercial use of drones. From $177 million in 2014 to $240 million in 2016, the investments in drone startups over previous two years were quite remarkable. With the use of drones becoming mainstream in different sectors, the demand for specialized aircraft will continue to grow and keep drone startups in demand. These circumstances are apparently helping build up an entirely new economy, with the following sectors benefiting the most from the increased drone production. Thanks to technical innovation, reduced costs and more flexible regulations, drones are quickly entering its commercial use era. From insurance and utilities businesses, to oil and gas or waste management companies, drones are providing safer and more efficient ways to do business. Previously unreachable remote areas, dangerous sites or time-consuming endeavors are now becoming accessible and time-efficient as commercial drones are providing faster, safer and smarter ways to track and process data. Airware is leading the crowd with accessible drone solutions for telecom, utilities, oil and gas, landfill and waste management, construction and mining and insurance companies. Skycatch and Kespry have also closed new rounds in 2016, announcing innovations in aerial mapping and enterprise inventory management, respectfully. These three are perfect examples of the developments in the sector, beating the path to drone innovation in enterprise. Drones have introduced a major innovation in farming and agriculture by allowing for precise and easy monitoring, measuring and responding to changes in crops and fields. The way in which drones have revolutionized the field are reflected in real-time tracking and better quality imaging, which allows for smarter and faster decisions for farmers. The DJI Agras MG-1 has gone one step further to assist in the spraying process for plant protection and fertilization. Water resistant, corrosion- and dust-proof, DJI Agras is specifically designed for agricultural purposes, especially for spraying process since it can carry 10kg of fluid and cover 10 acres (4 hectares) in a single flight. The disruptive nature drone of technology has transformed mining and construction sectors to a great degree. With the aerial tech now used to view, measure and record data on stock piles, monitor wall movements in mines, inspect various infrastructure lines and perform mineral exploration, the mining sector has shown the fastest growth in drone adaptation. Similarly, construction site mapping and planning that used to take up a lot of time and was prone to mistakes, has now become a matter of minutes with drones’ ability to capture the data automatically. Among the startups specializing in drone technology for construction, Identified technologies combines hardware and software system to revolutionize the way we build. With its eeDaaSS model that includes pre-flight planning, camera and sensor settings, post-flight analysis and quality control, in addition to reporting and analytics, the company opens a set of new opportunities for companies in the sector. With STEM skills growing in demand both in schools and at workplace, Makeblock Airblock has offered a truly unique way to help students develop these skills. Makeblock Airblock a modular and programmable drone intended for the education sector, whose core idea is to help enhance students’ STEM skills at an early age. 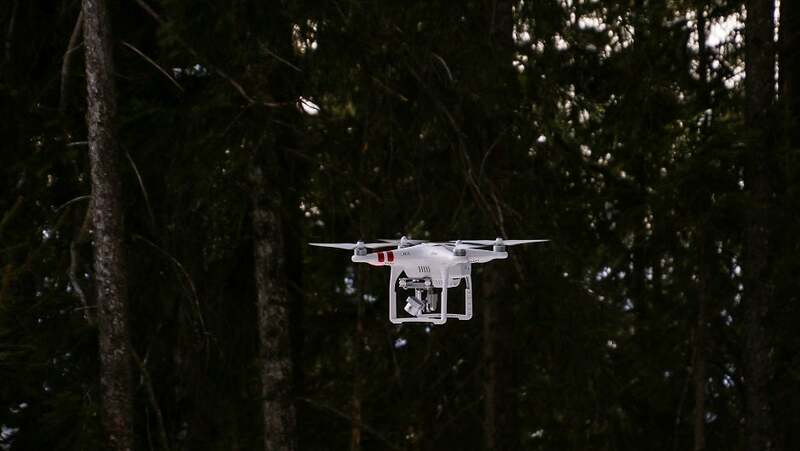 The use of drones like this one represent the next big tech trend in classrooms, and are expected to help awaken children’s passion for active exploration of technology. Combined with a series of toy-grade drones made specifically for kids, the specialized models for education can encourage the youngest to get involved with the latest tech inventions. Drone technology has quickly surpassed its initial aerial photography and video application and has tapped even into the medicine sector, making it an important factor in saving lives of millions. A great number of startups has emerged to offer solutions for medical equipment and supply delivery via drone technology, which has made an important difference for healthcare, medical research and even human rights organizations. We have witnessed the launching of Zipline’s, (Californian startup) solution to deliver medical supplies to inaccessible regions in Rwanda. Researchers at the The Sheffield Centre for Robotics are testing the ability of microdrones to potentially replace invasive surgery by releasing chemotherapy only on the regions affected by the cancer. Apparently, drones are changing the face of traditional industries faster than many other tech trends we have seen over the last several years. With business analysts predicting a continued growth of the economy, the five sectors above are a safe focus for up-and-coming drone manufacturers.